Having trouble coming up with gift ideas for a child in your gift-giving circle? I find a lot of the same titles repeated while perusing the bookshelves of my friends and their children. There are plenty of tried and true classics that turn up everywhere (think Dr Seuss, or Robert Munsch), and I try to avoid giving them because they are so popular. You never know if the child already has it or not. It's a pain. Might I humbly suggest my number one go to author for kids? He's got amazing talent, this one. Imaginative brilliance, really. Lavish, engaging artwork, and fun stories. And apparently they've published some board books of his titles aimed at little ones (though they've yet to cross my path). The Eleventh Hour was my first encounter with Graeme Base, when my mother gave it to me for my eleventh birthday. Yes, I've been a fan that long. The book is a mystery, and the reader need decode the hidden messages to solve the puzzle. I'd say ages 10 - 12 would enjoy digging through its pages. The Water Hole is a numbers-based story about animals across the continents and a shrinking water hole. And the animals of the previous pages are hidden within the artwork of the later pages. I'd recommend this for ages 3 - 7, and have gifted this many times. 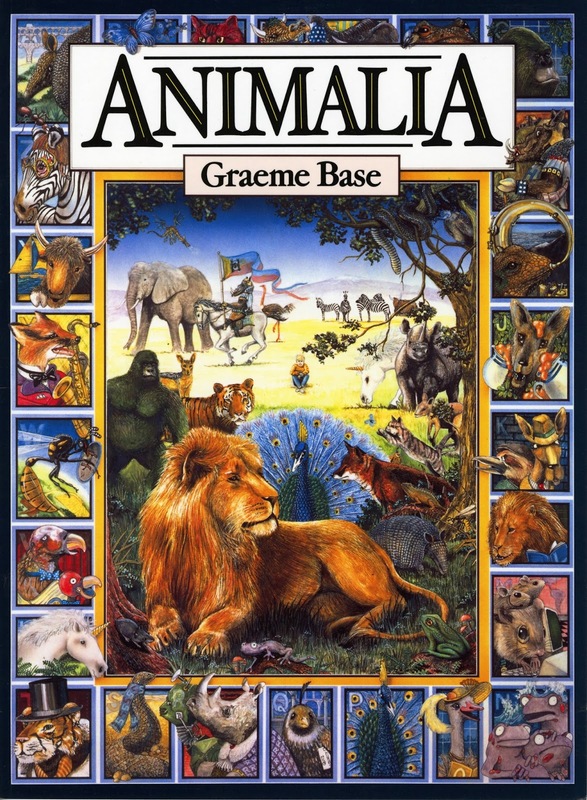 Animalia is the alphabet done with animals (and a single boy hidden in every scene for eagle-eyed readers). This is great for ages 4 - 9, have gifted this often, and my boys have burned through two copies themselves. The Legend of the Golden Snail, Little Elephants, Jungle Drums, and Uno's Garden have all marched through our house via our local library and also have their merits, but those first three are my top choices. When I've been really on the ball, I've given them as teacher gifts for their classroom, too, heh. The tricky part, though, is remembering who I've given Base books to after I've done it once... any suggestions on where to turn after that? A good picture book author that spans across age groups yet isn't so popular it's almost guaranteed to already be on a kid's shelf?